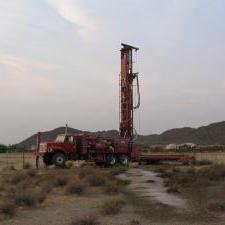 Last week, California finally took baby steps to manage its decades old problem of landowners drilling wells to pump groundwater whenever and wherever they pleased. The new laws could take up to seven years to implement. Arizona learned long ago that unlimited groundwater pumping was unsustainable and we still need to continue to protect this precious resource. In 1980, water users in Maricopa, Pinal and Pima counties were pumping groundwater at an alarming rate. That year, wells in those counties pumped out 2.5 million acre-feet more groundwater than could be replenished naturally. That's enough water to serve over 6 million households for a year, yet the state's population at the time was only 2.7 million. This unwise practice of pumping more groundwater than Mother Nature replenishes, known as groundwater overdrafting or mining, severely threatened this non-renewable water supply. In 1980, Arizona finally came to grips with this problem when it passed the Groundwater Management Act. Because of the Act, by 2010 the groundwater overdraft in Maricopa, Pinal and Pima counties had been reduced to about 178,000 acre-feet. Remarkable. We were well on our way to achieving a long-term balance in the Phoenix and Tucson areas between the amount of groundwater pumped and the amount replenished. Unfortunately, it does not look like we will achieve this balance by 2025 as mandated by the Groundwater Management Act. The Arizona Department of Water Resources has projected that by that date the overdraft in Maricopa County alone could realistically be 200,000 acre-feet per year — enough water to meet the yearly needs of 500,000 households. The major cities don’t cause this overdraft since they aren’t allowed to mine groundwater. The overdraft is caused primarily by historical rights to pump groundwater for agricultural and industrial uses, and pumping for subdivisions that pre-date the Groundwater Management Act. Well, you might be tempted to say, the projected overdraft isn’t so bad. Look how far we've come. Some might even argue that more groundwater pumping is needed to sustain our economic prosperity. That is reckless nonsense. Anyone who believes that increased groundwater mining will enhance our economy had better think again. Researchers now estimate that groundwater in the Colorado River Basin is declining far more rapidly than the water levels in Lake Mead and Lake Powell. Scientists at University of California, Irvine estimate that the groundwater overdraft in the Colorado River Basin was 40.5 million acre-feet over the past nine years. Meanwhile, central Arizona is under a microscope because of the 14-year drought. The success and stability of the Groundwater Management Act allow us to argue persuasively that we are managing our supplies responsibly for the future. Take a look at what’s still happening in California, where landowners are racing to dig deeper wells in competition for dwindling groundwater supplies, and you see the nightmare we would be in without the Groundwater Management Act. The lesson of California makes it clear that instead of allowing more groundwater to be pumped in this time of drought, we need to find additional ways to help protect our limited groundwater supplies. The drafters of the Groundwater Management Act knew 34 years ago that water conservation alone would not be sufficient to reduce the overdraft. That's why they authorized the state Department of Water Resources to purchase and retire historical rights to pump groundwater. But the Department has never had the money to buy any rights. There’s a lot of general talk out there about our water situation, but the time has come to take action. AMWUA has developed a plan that would, among other things, encourage the underground storage of excess surface water and treated wastewater in areas where groundwater levels are falling. Watch for future blog posts that will provide details about this plan and other ideas to protect Arizona’s water supplies.